The personalized youth long sleeve oxford shirt is wrinkle and stain resistant with a button down collar. Wrinkle and stain resistant with button down collar. 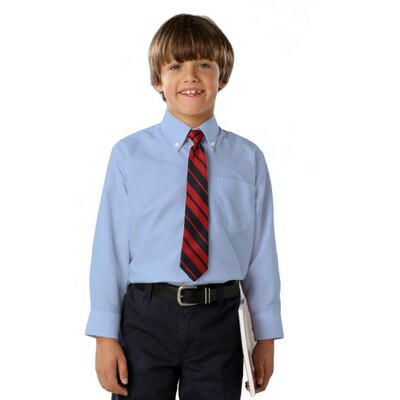 This great youth long sleeve oxford shirt combines looks and performance in a great shirt for school or play time. The fabric is easy care 60/40 cotton/poly blend for extreme comfort and durability. This shirt is wrinkle and stain resistant with a button down collar. It has a center pleated back with double back yolk. This branded shirt also features a patch pocket. Customize these shirts with your team logo neatly printed at no extra costs to cheer your promotional campaign.